Technology plays a great role in changing the aspects of life. For instance, technology makes shopping more convenient than ever. Using gadgets such as mobile phones with a secure internet connection, everything can be done and with ease. Therefore, it the key to success for a business. As such, companies and organisations have to embrace the use of digital marketing. In the marketing of your business services and products, digital marketing is effective. As you can see, many companies and organizations are using the internet to market their name. In this digital age, marketing your business to social media platforms are necessary. 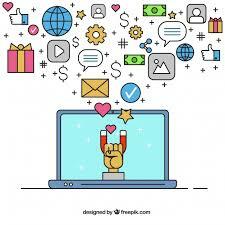 Marketing on the internet gets more popular as the times goes. If you are working on your marketing using the internet, this will allow you to recreate customer experience across all channels. For instance, ads placed on social media. By targeting marketing strategies, you will find that you are able to target audiences more effectively and will see results. Hence, using marketing strategy driven by digital influences of the other users will give your marketing a success. One way to utilize digital marketing is to collaborate with stakeholders and people of interest. When marketing, your focus has to be on the welfare of the clients. To do so, you would have to understand the client and promote transparency. Would be better if your team have the relevant knowledge to understand and meet the client needs. 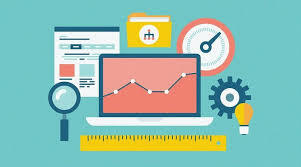 For online marketing, you will have to refer back to your relevant platforms frequently and analyse the data. For instance, determining the consistency of likes on a post/ the number of engagement. If you find something lacking, it is necessary to identify the issue and take some corrective actions. This way, you will then be able to build and maintain relationships with clients. Companies these days do most of their transactions on the internet. If Company A and Company B adopts digital transformation, other companies will do the same. That is the crucial part in business; you have to adopt to what is hot and what is trending in the market. If they apply internet marketing in their process, you also have to do the same. This is to ensure that you are always readily adaptable and show that you are always ready for changes. However, just because others does something does not necessary mean you have to apply it. You have to determine how relevant and how it will impact the company. Sometimes, you have to be the one to initiate the process too. Marketing on the internet one effective way to promote your products and services. Such strategy is always changing and need to keep up with the digital transformation. Marketing on the internet requires the use of technology such as Java and other third-party applications. Digital transformation affects marketing due to the demand of many internet users. Social media marketing is one factor that gives high promotion to a company. That is why many organization cling to digital transformation because they can use it for an effective marketing.